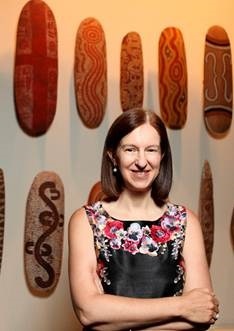 Professor Miller commenced as CEO of the Queensland Museum Network and Director of the Queensland Museum & Sciencentre on 2 July 2013 after six years leading the South Australia Museum as Director. Previously the Edinburgh native spent 12 years with National Museums Scotland, latterly as Keeper of Natural Sciences. Suzanne has previously held positions as Research Fellow at the Universities of Lancaster and Oxford, Lecturer in Earth Sciences at the University of Aberdeen and the Open University and as Geologist with the British Antarctic Survey. Professor Miller is a Fellow of the Geological Society of London, Fellow of the Mineralogical Society, Fellow of the Royal Society of South Australia, Fellow of the Australian Institute of Mining and Metallurgy, and Fellow of the Geological Society of Australia. Suzanne is currently Affiliate Professor in Earth & Environmental Sciences at the University of Adelaide. She is also Deputy Chair and the Australian Representative on the Board of Scientific Collections International (an OECD Global Science Forum initiative), and a member of the Australian Research Council Advisory Council, the Cooperative Research Centres Committee, the National Cultural Heritage Committee and the Queensland Advisory Committee for the Commemoration of the Anzac centenary.